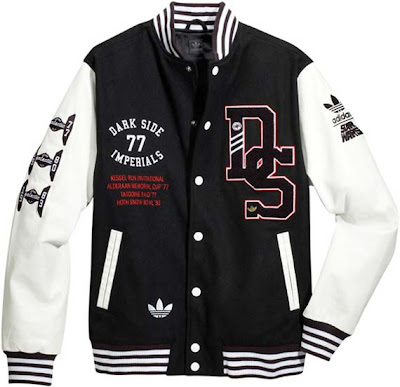 As a true super-geek, I went crazy about this Star Wars - school jock Adidas jacket! 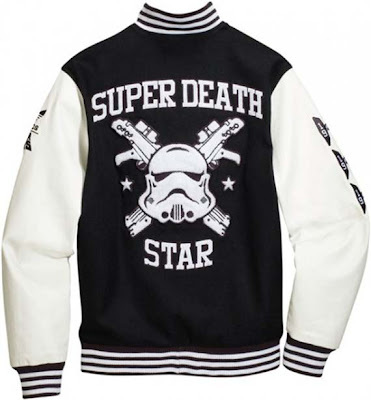 With features like "Dark Side Imperials" and "Super Death", it's easy to be seduced by the ever so famous DARK SIDE!!! 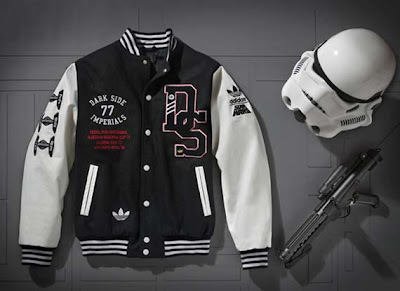 Take it as a teas for the up-coming Star Wars x Adidas Originals Fall/Winter 2010 collection!